Almost a decade ago, I started building my first website. My professor, Dr. Fuller, gave me the seemingly simple homework assignment of creating a basic one-page website. After three hours of working on the project, I still had absolutely nothing working. I wish I could accurately convey the number of times it felt like I was ramming my head into a brick wall. I can vividly remember feeling utterly lost and hopeless at many points during that project. Yup, that was it. I was thoroughly disappointed when Dr. Fuller gave me a “C” for the project. If only he knew what trouble I had gone through! I went to all that work, and I didn’t even receive recognition for it. 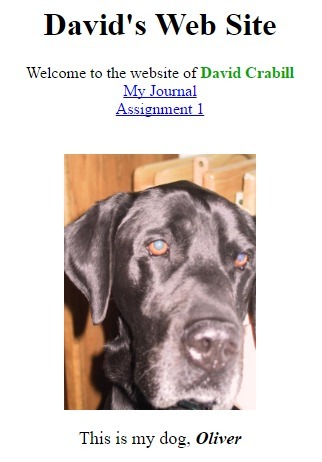 Some of the other students’ websites were far better than mine, and I remember thinking that I would probably never be able to make a website as good as those. Over the last decade, I’ve learned a bit more about web development. In fact, it has become my career (I work from home as an independent web developer), and I have now built many websites, including this one. As you can imagine, today it would take me only a few minutes to build that first website, which initially took me hours upon hours. But even with the progress I have made, I know that I still have a ton to learn. The challenges that I face today will likely seem easy a few years from now. For instance, the initial version of this website (in 2012) was quite rudimentary, but I look back on it with fondness, since it was an essential stepping stone to get to today’s version. I know that the things that challenge me today will probably seem like a piece of cake a decade from now. You might not have everything figured out on day one, and that’s totally okay. Even the best cake decorator in the world had their first sloppy creation. The most successful food business was at one point just barely scraping by. Clearly, my first website was not a good predictor of my future career! Why do I mention this? I continue to see many CFOs who feel like they need to be close-to-perfect on day one (I once felt this way as well). Here are some things you might think you need to have: a “presentable” booth, a business logo and/or banner, high quality product labels, finalized products/recipes, business cards, a website, a credit card reader, a DBA or LLC, professional packaging, a t-shirt with your logo on it, etc. etc. etc. The truth is that these are all barriers to the most important thing: starting. Your first event booth might look bare, and that’s okay. Your first product labels might be created in Microsoft Word, and that’s okay. You might not have a business name or logo or website yet, and that’s okay. All of those things will come over time. Like my first website, your product might not get high praises and recognition on opening day, and you probably won’t have news reporters lining up to write about your business. There will be many people who are much better than you, and they may be getting all of the attention. It can seem daunting and demoralizing, but it doesn’t need to be. If you are going to compare yourself to anyone, compare yourself to all of the people who are not at the market because they still want to start a business… someday. Trust me, you are way ahead of them. Initially, you might feel lost and hopeless (like I did with my first site), and it might seem like your business is going nowhere. But by starting small, your business can stay very lightweight, flexible, and adaptable. Keep persisting and trying new things until things start to come together. It may not be fun at first, and it certainly is very hard to start a business, but the rewards are worth it. Remember, everyone starts somewhere, so don’t be afraid to look a little foolish as you start your venture! First off, I just want to say that I truly appreciate your website! The posts and information listed here have been a virtual fountain of information! I am in Oklahoma, and am just starting my CFO for cookies and cupcakes. I have a question about taxes…am I responsible for collecting any taxes on the items I sell? I keep seeing vistaprint.com tv commercials. It’s quiet inexpensive and create if you like to create. But they can assist you as well. Yes, Vistaprint is good for someone just starting out, and I know some people who have been using them for years. But I still suggest that people start at home (if they can) in the very early days. 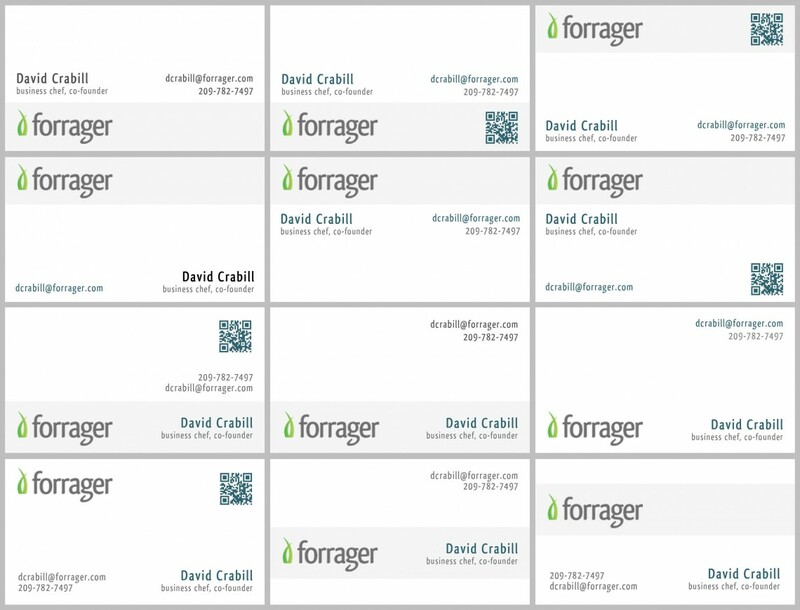 That being said, using Vistaprint’s generic business card templates would have been a lot better than what we did.